Music 318-01 is designed to teach the basic skills of conducting with emphasis on score study, interpretation, and movement. 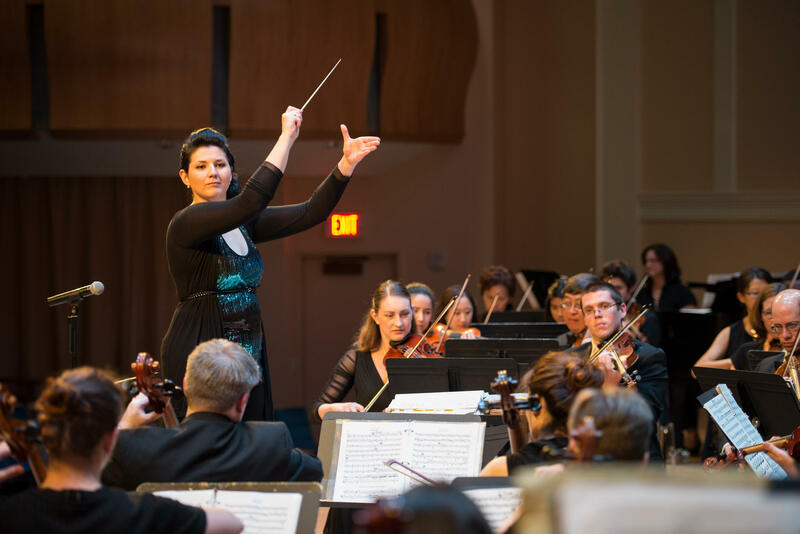 The role of the conductor is to lead, react to, alter, and reinforce the performance of the ensemble. This class will focus primarily on the development of non-verbal vocabulary that will allow each student to clearly and artistically communicate with the members of an ensemble to solicit a predetermined musical result. Prerequisite: MUSIC 361 and consent of instructor. One course.